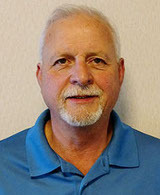 RailPros Field Services (RPFS) has named Ron Zullig manager of communication and signals. He will be responsible for overseeing RPFS’ signal department as it seeks to expand signal inspection, maintenance, training, cutover and testing services. Zullig, who joins RPFS with more than 30 years of railroad experience, is qualified in the repair, inspection, and maintenance of all grade crossing warning, train control devices, interlocks and communication facilities along the railroad system. He is also qualified in all aspects of train control construction.